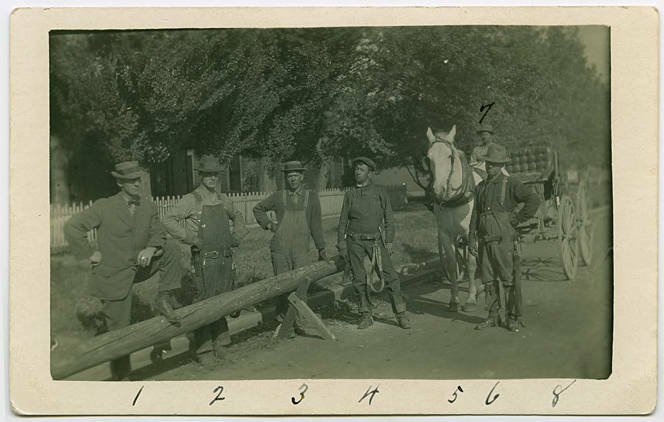 Six men stand with a horse and wagon, next to a telephone poll. They were part of the North Plain Phone Company crew. [back] North Plains Phone Company; 1 - Ross - City foreman; 2 - Me - [Straw?] 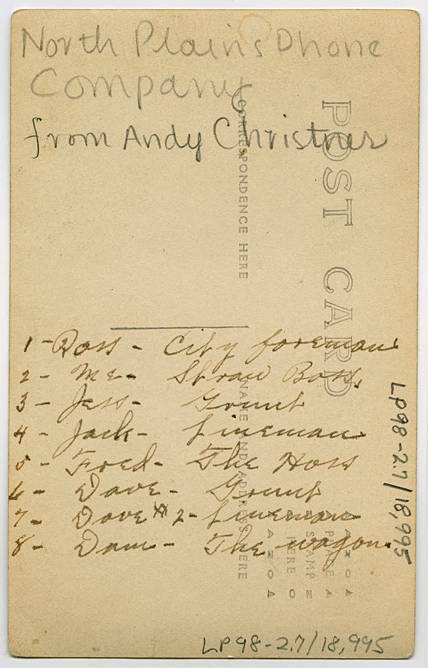 Boss; 3 - Jess - Grunt; 4 - Jack - Lineman; 5 - Fred - The Hoss; 6 - Dave - Grunt; 7 - Dave #2 - Lineman; 8 - Dam - The wagon.